Imagine you're in the woods… It's getting dark soon. 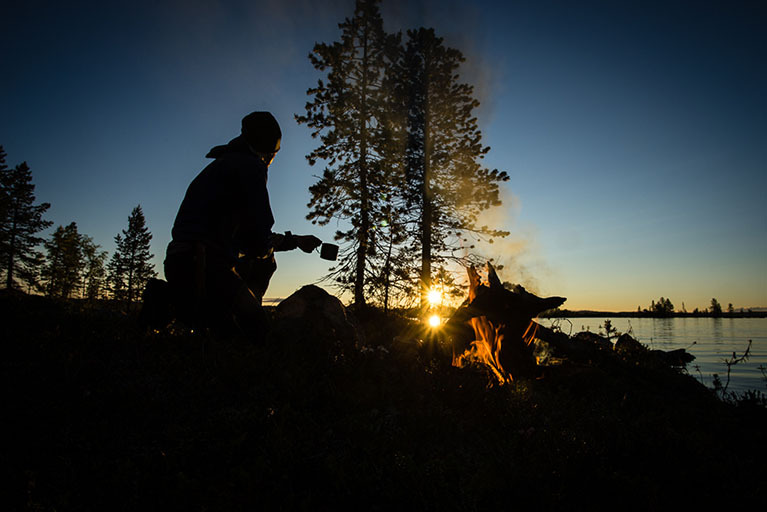 Time to make a fire… but you're stuck with a dull knife. Sweden, Norway and Finland offer some of the most stunning nature experiences. 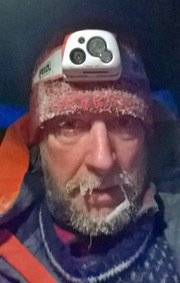 However, conditions are harsh - it's cold all year round - which requires that your survival gear should never let you down. And having the right knife is particularly important. "Without a good knife you don't manage in the wilderness." We wanted to find an all purpose knife that the experts are using during the whole year. In total they have accumulated +100 years of experience, so you're in for some solid advice before buying your next knife. But first, let us walk you into the wonders of the Nordic wilderness. In the nordic wilderness you find unique experiences. You can have close encounters with moose, bear, wolves and sea eagles. 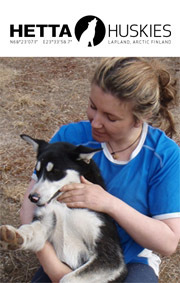 You can control your own pack of Huskies for some serious dog sledding. Or why not go to the Norwegian island of Svalbard way up north for the best seats in the house to be stunned by the beauty of the Northern lights - Aurora borealis. You can even meet a polar bear, if you’re lucky. Much more about these activities in the presentation of the guides below. It surely is a breathtaking place, but it can also be very tough. The Arctic nature is not to be trifled with. For instance on some treks in Finland you can be 40 km away from any main road with temperatures at -20 C for weeks. Actually, the coldest temperature was recorded in 1999 - it was -51 C! 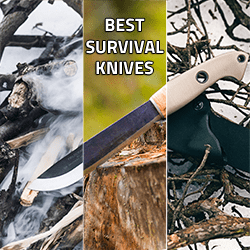 So let’s hear which are the top survival knives that local experts use. "Which survival knife do you use, and why is it so good?" 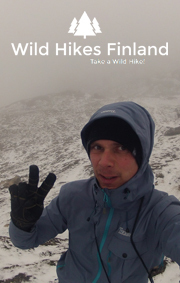 Joose Järvenkylä is an international wilderness guide, wilderness educator and the founder of Wild Hikes Finland. They specialise in demanding human powered wilderness tours in the remote parts of Northern Finland and Scandinavia, where you can go for days without meeting anyone. Their trek tours are for 2-8 participants. They also offer wilderness training. "In any season hike that take place below the treeline, a pack of matches and a quality knife are the first things to pack. Matches, because they are easier and faster to use than firesteel and more reliable than a lighter, a knife, because it makes the fire­making process a joy and can also be used in loads of other things. You do not need any fancy bells and whistles with it. Personally, I typically use Roselli’s Nikkari, which is a low-weight carbon blade knife that fits my hand very snugly, has a good balance and is easy to maintain even in the field. The only downside of Nikkari is that the sheath is quite poor and the knife tends to fall off. It's a problem which can be easily solved by replacing the sheath or by installing an additional piece of leather. When I am using the knife in particularly wet conditions I prefer a stainless steel blade with rubber handle. On fishing trips when I am (or at least try to be) regularly filleting, a longer blade is also handy. For those purposes I like to use Marttiini’s Condor Vuolupuukko (Iynx with rubber handle). If I am hiking with customers, ski touring below the treeline in winter-time, or just want some luxury, I will also carry with me an axe (which makes the firemaking process even faster and gives you more room to choose between different fire ­designs). Then Roselli’s Retkipiilu is my number one choice. Above the treeline the axe is obviously useless". 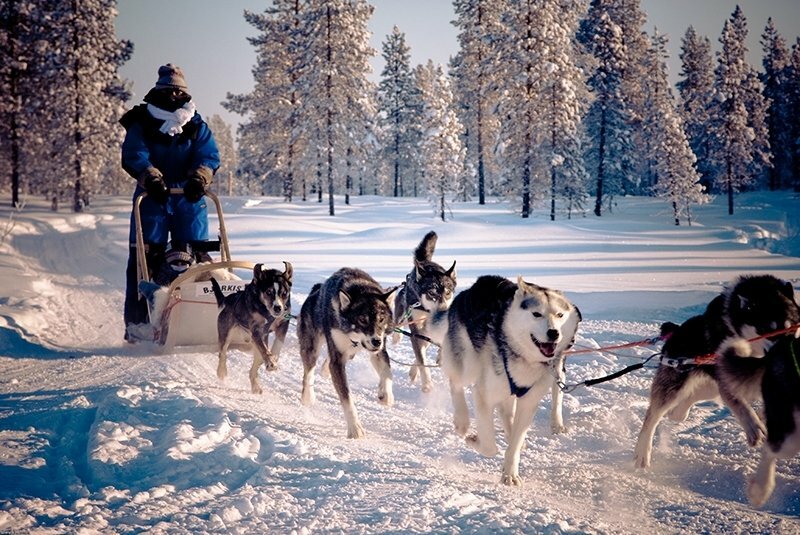 300 km inside the Arctic circle in the Finnish Lapland you will encounter Hetta Huskies, Finland's premier dog sledding company. It's run by Anna McCormack and her husband Pasi Ikonen. Both are former professional athletes and explorers. "Most of our guides use Mora knives for day by day jobs with the dogs (for rough carpentry, making fires, dog sled repairs, dog food preparation etc.). Primarily because we can buy them locally. In other words, just the simple Pro­C type knives. Some have more elaborate Puukko knives either made by local companies (e.g. Wood Jewell) or local craftsmen who hand­made them. Most also have their own self made knives (primarily using Laurin Metalli or Condor knife blades). My husband and Tim, our building manager have a much wider variety of knives...Pasi generally carries a Bushcraft Survival Knife from Mora as well as his own Puukko and Tim has a YP Taonta Skinner Puukko 100 and something like a Condor Bushlore, for more camp craft type things". Davaj Trekking was founded in 1989 by Gerd de Koning. They introduced bushcraft to Europe, and Gerd even hosted a bushcraft programme on Dutch TV. Davaj Bushcraft & Trekking organize wilderness trips in Sweden and Canada. In the summer they organize bushcraft and canoe trips in Sweden, rent out lake side lodges and a mountain cabin. 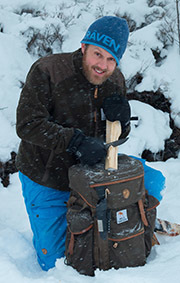 In winter they organize bushcraft and scooter tours in their mountain camp. 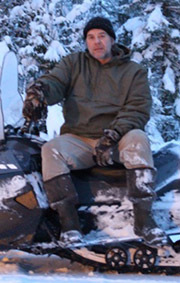 "At this time of year we are quite busy with our snow mobiles tours. In our gear we have standard Ka-­Bar knives and Tops bushcraft knives for the guests to use. Tops is specialized in bushcraft knives, good blades, and extra stuff like a firestarter on the shaft. And the guides have Fäll­kniven odin or thor. and off course a leatherman military. These Fällkniven­ knives are reliable, sharp, and good for wood chopping, building shelters etc...and they look nice... A knife that lasts a lifetime!". WildSweden has offered wildlife tours in Sweden since 2002. 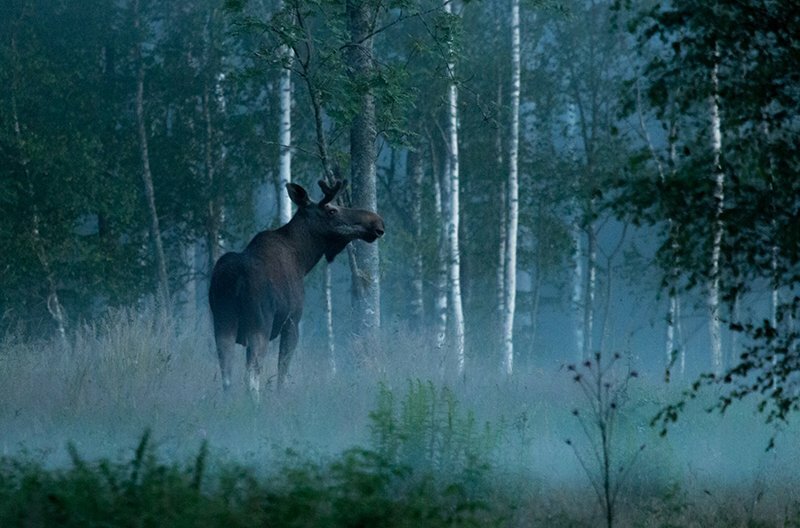 Nature loving travellers from all over the World come to Sweden to experience wildlife such as moose, beavers, brown bear and wolves. "Hiking through the woods and canoeing across lakes and streams is a vital part of my work. In Winter when the landscape is covered in snow and the lakes are frozen I use skis and snow shoes to get around. No matter what today’s mission is... tracking Wolves, watching for Moose or Bears, I always pack my Fjällräven Stubben backpack and make sure my knife is in the side pocket. The knife is not for my protection. These animals are not my enemies, and even if they were, a knife wouldn’t help much. I mainly use my knife for preparing and making fires. This ’Mora Bushcraft Survival (http://www.moraofsweden.se/adventure/bushcraft­survival­black) has a sturdy Swedish made carbon steel blade. I use the back of the blade with the integrated fire starter. The fire steel secures that I will always be able to start a fire even in wet conditions. The camp fire is essential to any wildlife experience and the guides’ best friend". Chris White is the owner of NorthTrek. They're based in Ruka-Kuusamo in Finland close to the Russian border. They offer a long list of exciting Winter activities such as snowshoe tours, igloo building, cross- country skiing, Husky tours, ice-fishing, reindeer farm visits and Northern light tours. The Kuusamo and Ruka region is one of the few remaining untouched wilderness areas in Europe. It is also home to the beautiful Oulanka National Park with its rivers, canyons lakes and forests. "My favourite knife is a Finnish knife hand made by Marttiini in Rovaniemi. This type of knife has a stainless steel blade, doesn't rust, stays sharp when taken care of. Birch handle, good grip, nice reindeer antler finish. It is ideal for most jobs around the camp and a nice little extra is the notch on the other side of the blade for lifting hot coffee pans off from the fire. Reasonably priced and I give these as gifts to my training guides. Without a good knife you don't manage in the wilderness!". 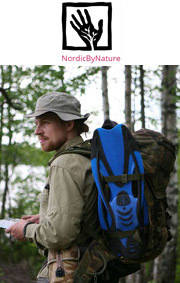 NordicByNature offers education, adventures and experience in the fields of nature awareness, bushcraft/ survival, wilderness travel and climbing in one of the most fascinating wilderness areas of Europe - North Karelia. NordicBynature aim to promote nature awareness and a life-philosophy that seeks to be in harmony with the rest of nature. "In response to the fact that our way of life of always buying new stuff put us in a very real survival situation, I only recommend second hand knives. From fleamarkets and the internet I find carbonsteel Mora-style knives and make a new handle and sheath for them. Also old lawnmower blades and other old steel can be made into new cutting tools." 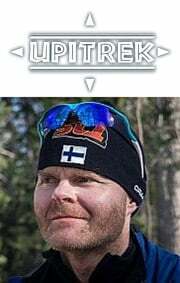 Urpo Heikkinen is the founder of Upitrek. Outdoors and trekking have always been Urpo’s passion. They mainly specialise in weekly hut-to-hut trekkings, from their base in the Kainuu area of Eastern Finland. So if you ever plan a cross country ski tour on the Eastern, Eastern border of Europe, then these are the guys to contact. 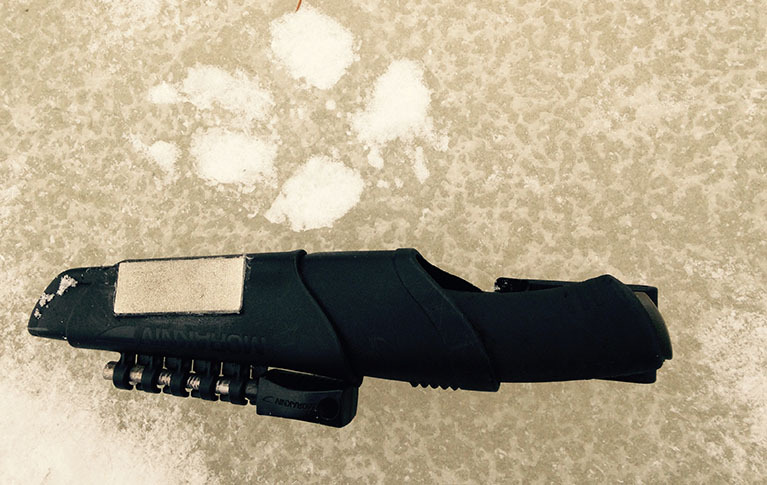 "This is the best knife (the picture below), works in every situations. It saves you in the wilderness, you can make a fire or even kill a bear. Or just spread butter on your bread or sharpen a pencil. And it is made by local blacksmith and it is the symbol of our region, Kainuu". Amsterdam and other main European cities. 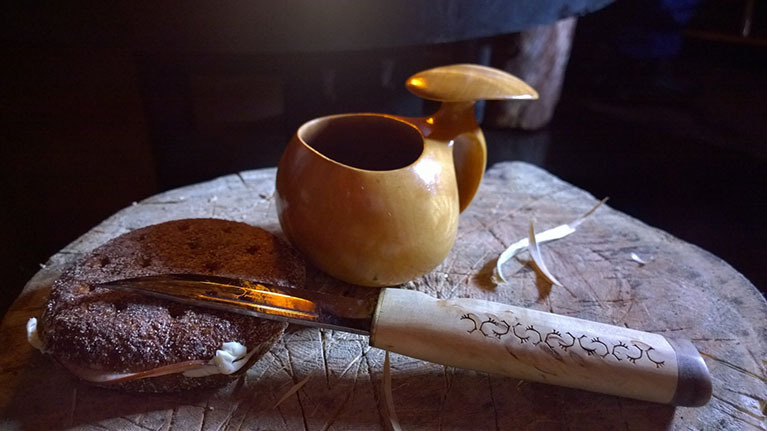 "We usually use a set of knives: One large sami knife for cutting branches, making pegs etc. and one smaller knife for crafting. Then a «Leatherman­ type» multitool for multi purpose use (repair kit etc.)". 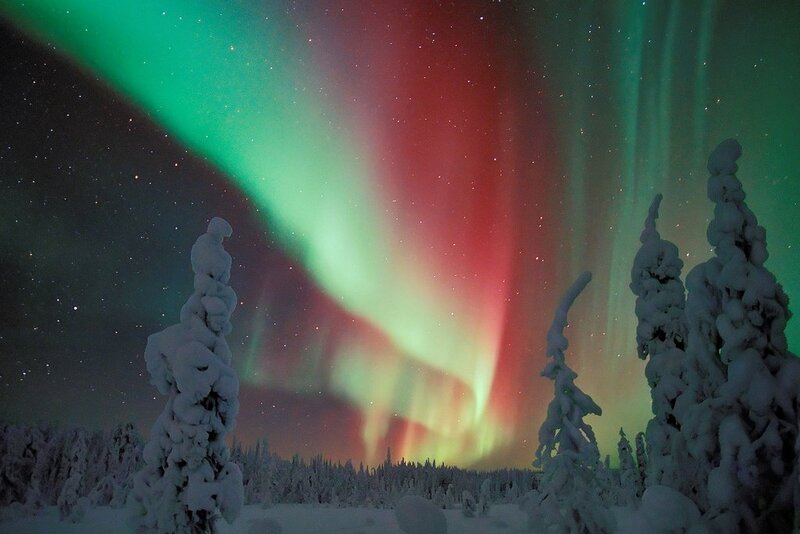 Lapland Welcome­ is based in Rovaniemi, which is the capital of Lapland and Santa Claus' home town. 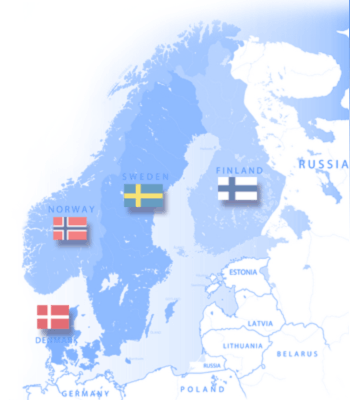 They offer various nature, hunting, fishing and Northern Lights tours all over Finland, Lapland and northern Scandinavia. "We mainly use Marttiini knives because they are local, planned for our use and they come with really good quality. They also fit well to our brand and are authentic". 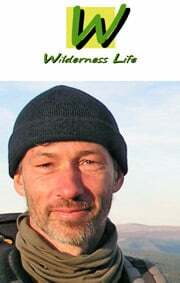 Thoralf Rumswinkel is the founder of Wilderness Life. Wilderness Life offers­ guided hiking, canoeing and backcountry­ skiing tours plus wilderness camps in Norway and Sweden. They're focused on teaching wilderness living skills and spreading a natural mindset by connecting to nature, self and the community. "I'm not committed to one single knife. Whether a tool is good or not, depends strongly on personal preferences and the current situation. The Sami people come to my mind, who traditionally use to carry three different knives with them, each for a specific purpose. Ask yourself for what purposes you need a tool and try out different ones to figure out which fit best for you ­ your own experience will tell. By the way, the wilds are always full of the unexpected, so the most effective tools to cope with whatever situation are your awareness, creativity and skillfulness. Make sure to keep them handy!". 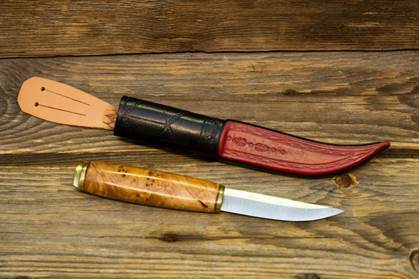 Some great recommendations when it comes to picking a quality knife for your next wilderness tour. Certainly, one of the main takeaways here is that local guides trust their local knife manufacturers and knife makers ;). So now it's your turn. Which knife are you going to face the Nordic wilderness with? I switch knives depending on the need to support campfire. Warm weather backpacking does not so knife needs are lighter and my Marttiini New Handy is light, compact and excels at food prep. But when supporting a campfire I like my Casstrom SFK 10 with fire stick, but often also bring along "handy". Thank you very much for support and comments! Try the Eka Axeblade! Excellent survival tool. Stainless steel,chops, cuts, splits, peels and is razor Sharp. I wouldnt enter the deep forests without mine. Although I have always been partial to bowie type clip point knives because of their multi-purpose qualities, the Fällkniven knives are always hard to beat, so the A1 or S1 would probably be my choice. They are however a little more challenging to resharpen, I also think there's a lot of sense in the Sami concept of having more than one knife, so a quality carbon steel blade goes in tandem with the Fällkniven. Or possibly the other way around, in that case a 7-inch(ish) carbon steel bowie paired with a smaller stainless knife (like a Fällkniven F1, SOG Seal Pup or Mora Bushcraft). ( chopping and batoning ) work. I find it unusual Helle was mentioned? I understand that these recommendations are based on the guides personal experiences in their part of the world. No doubt in my mind, that this is why Scandinavian / Nordic knife makers produce the product they do, to cater to users in their local area. But does it mean that their choices are suitable for other areas in the world with different climates and different vegetation types (eg. soft wood v's hard wood)? How about coastal environments where the maintenance requirements of Carbon steel usually sees most users choosing Stainless steel blades? The condom approach (where one size is supposed to fit all) simply doesn't apply to most things in life, including "survival knives". Now for a hot climate: Condor Solobolo. Basically you need a good chopper that is large enough to open a coconut, but still light and small enough to carry in the belt. For nordic extreme cold weather the knives best suited are Mora and other Scandi knives. The place where I live is tropical forest and quite hot weather. I carry KM2000, sometimes Ontario RAT-7 alongside Mora Robust and Benchmade 710. Cold Steel - Finn Bear, had it for years now and its my go to knife on pretty much all of my trips. Cheap (no worries If you lose it), easy to use and durable.